GENE WATSON had been plying the Texas country circuit for more than a decade before he came to the attention of Capitol Records. His debut album 'Love In the Hot Afternoon' included the single of that name which made the No. 3 slot in the US country charts in 1975. The album featured two other hit singles and earlier recordings originally made for the small Resco label run by Russ Reeder. 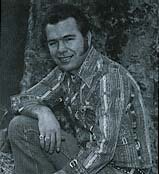 Watson's third Capitol album, Paper Rosie, was released in 1977 and included the title track which had originally been a major hit for the singer-songwriter Dallas Harms in his native Canada. Watson and Harms would subsequently become good friends and Watson had hits with other Harms compositions. Paper Rosie was Gene Watson's first UK release and to promote it he undertook an 18-date British tour in June 1979. In the eighties, after his departure from Capitol, Watson recorded for MCA, Epic and Warner Brothers. With the advent of "new country" there was a new market for the "pop" end of this genre but Gene Watson has remained loyal to his traditional roots and his loyal following. In 2001 a greatest hits package was released by Universal and went some way to asserting his claim as one of country music's greatest voices. Founded in 1966, the original line-up of SOFT MACHINE was Robert Wyatt, Kevin Ayers, Daevid Allen, Mike Ratledge and, very briefly, guitarist Larry Nolan. By autumn 1967 the classic line-up of the Softs' art-rock period (Ayers, Wyatt and Ratledge) was present. They toured with Jimi Hendrix, who, along with his producer, ex-Animals member Chas Chandler, encouraged them and facilitated the recording of their first album. From the end of 1968, when Ayers left, until February 1970, the personnel changed and the music evolved into a distinctive brand jazz-rock. However, with Wyatt's very English spoken/sung vocals, the group had still managed to inject some mirth into their work. By mid-1970 the second definitive line-up (Ratledge, Wyatt, Hugh Hopper and Elton Dean) was finally in place. It was this band that Tim Souster showcased when he was allowed a free hand to organise a late-night Promenade Concert in August 1970. In autumn 1971, Wyatt left to form Matching Mole and Phil Howard came in on drums until John Marshall became the permanent drummer. In later incarnations, despite the virtuosity of guitarists Allan Holdsworth and John Etheridge, the band began to loose their uniqueness. In 1984, Karl Jenkins and Marshall brought together a new edition of the band (featuring Dave Macrae, Ray Warleigh and a number of new Jenkins compositions) for a season at Ronnie Scott's club. The first three albums contain the best of their work which clearly shows they were one of the most adventurous and important progressive bands of the late '60s. The doyen of British jazz-rock groups, NUCLEUS was formed in 1969 by trumpeter Ian Carr. He was joined by Chris Spedding (guitar, ex- Battered Ornaments), John Stanley Marshall (drums) and Karl Jenkins (keyboards). The quartet was signed to the progressive "swirl" label, Vertigo, and their debut, 'Elastic Rock', is arguably their exemplary work. The same line-up completed 'We'll Talk About It Later', but Spedding's subsequent departure heralded a succession of changes which undermined the group's potential. Carr remained the mainstay and the band's third album 'Solar Plexus' was actually intended as a solo release for the trumpeter. In 1972 both Jenkins and Marshall left the group to join fellow fusion act, Soft Machine, and later members Roy Babbington and Alan Holdsworth also defected. Subsequent albums lacked the early innovation and Nucleus was dissolved during the early '80s. Nucleus took the jazz/rock genre further into jazz territory with skill, melody and a tremendous standard of musicianship. 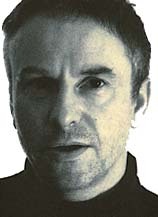 Born Eric Goulden in Newhaven, Sussex, England WRECKLESS ERIC specialised in chaotic, pub rock and roots-influenced rock. His often tuneless vocals belied some excellent musical backing, most notably by producer Nick Lowe. Wreckless' eccentric single, "Whole Wide World"/"Semaphore Signals" has often been acclaimed as one of the minor classics of the punk era. Wreckless returned with 'A Roomful Of Monkeys' credited to Eric Goulden, and featuring members of Ian Dury's Blockheads. He then formed the Len Bright Combo with ex-Milkshakes members Russ Wilkins (bass) and Bruce Brand (drums), who released two albums and gained a small cult-following on the pub/club circuit. The eventual dissolution of that group led to the formation of Le Beat Group Electrique with Catfish Truton (drums) and André Barreau (bass).